Instant Classic is a phrase that is bandied about quite a bit. Rarely does a film live up to such lofty praise, but this one should. 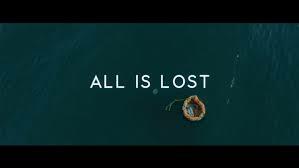 All is Lost is a movie I could’ve easily hated and truth be told, I wanted to hate it. Robert Redford lost at sea for 100 minutes is not my idea of a good time. Problem is, it was just that. Still not sure how it worked or why it worked, but it worked. Other than a couple of monster storms there is little action to be found. The score is not leaned on, and the totality of the film’s dialogue couldn’t take up more than a couple of pages. There were no tigers, volleyballs, flashbacks nor any inner monologues, yet I was captivated. It just doesn’t add up how such a simple premise and straight forward execution could accomplish such a feat. This is not entirely fair as the now 77 year old Redford manages to keep you engaged with an incredibly understated performance. Also credit writer/director J.C. Chandor (Margin Call) with pulling off this audacious story. It’s audacious for the fact that anyone would ever think this simple tale told the way it was told could possibly be a success. A success it was and in the spirit of the movie itself I will adhere to the less is more rule with this brief write up. Your kids kids will be talking about this one and other than Redford’s hair being dry a few times when it clearly should’ve been wet, All is Lost is near perfection. Posted on Thursday, October 24th, 2013 at 5:51 pm and is filed under Reviews.